Cover artwork by Cameron Gray. Wintersun’s debut album came out in 2004, but it took until 2012 for the follow-up from band leader Jari Mäenpää (vocals, guitars, keyboards, ex-Ensiferum) and drummer Kai Hahto. This was more of a band album that the debut with Teemu Mäntysaari also on guitars and Jukka Koskinen on bass along with various others making up the choir. One problem with reviewing music is how to convey what is being listened to so that someone reading the words can get an idea. Jari helpfully has described the music “Extreme Majestic Technical Epic Melodic Metal”, but what does that actually mean? If you were going to take some musical reference points then start with Devin Townsend, throw in Nightwish and Opeth and then mix it all up and start to layer it. Then add some more layers, and then some more. It’s just as well that the production is as good as it is as otherwise this could easily come across as a bucket of mud, the number of tracks being used is incredible. The person mixing this must have been an octopus in a previous life, even with Pro Tools. This over the top use of instrumentation is one of the delights of the album, but also one of the downfalls. At times it is possible to get somewhat overwhelmed by all of the aural delights being thrown, almost as if the piece of chocolate cake is too much as it is so rich. That is somewhat mitigated by the length of the CD which is much more like an old vinyl album at 40 minutes long. 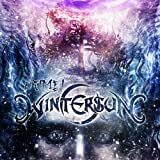 The second Wintersun album was a long time coming, and what we get on this release is very much Jari Mäenpää's show, with his distinctive keyboard style being a key feature of the album. It's not that the keyboards dominate the album's sound exactly - although they are quite prominent in the mix - so much that the approach to playing them is so different from other symphonic metal bands that the sheer novelty of it rather distracts from everything else that's going on. With plentiful influence from Japanese music acknowledged by Jari Mäenpää creeping in, it sounds like a symphonic metal band trying to do a soundtrack for a high fantasy anime series - and if, like me, that sounds like an awesome idea to you it might be worth checking this one out for at least a cursory listen. That said, to me it seems somewhat overproduced, with bombast standing in for an absence of depth, and Jari's long struggles to get the album finished and released don't seem to have yielded results commensurate to the effort put in. Unless you simply haven't been paying much attention to the metal scene recently, it's no secret that the wait for a new Wintersun album was long and torturous, to say the least. After initially being scheduled for release all the way back in November of 2006, a series of setbacks and recording issues delayed the album for nearly six years. What this meant is that fans of Wintersun's unique and masterful debut album had to patiently wait eight whole years to hear its successor in the form of Time I, the first release in a two part saga. Fortunately, Wintersun has returned with a triumphant observation that stands as one of the year's most breathtaking and original releases - the mix of symphonic power metal, folk, and extreme metal heard on the band's debut offering is still present on Time I, but it has been given a fresh coat of paint that makes for one hell of a listen. An intense, complex, and unforgettable album indeed, Time I is easily one of 2012's musical highlights. When the Time concept was still in its infancy, mastermind Jari Mäenpää said that this would be a very intricate album, and each song would contain around 200 tracks. Though this may sound far-fetched to the unsuspecting listener, this is an incredibly dense composition - vast orchestrations, multiple vocal melodies at once, huge keyboard tones, and pummeling guitar riffs characterize the music here, and it seems like every minute consists of dozens of musical ideas and melodic phrases blended into one coherent piece of music. The key word in that sentence is 'coherent' - although lots of things are always going on and most of the riffs are very death metal oriented, melody is the first priority here. Epic choruses and bombastic keyboards may not appeal too much to death metal purists, but more open minded listeners are likely to be amazed with the vast array of sounds that Wintersun has conjured. Almost as if a symphonic power metal band decided to up their testosterone level, Time I takes everything that's great about epic metal and makes it more heavy, progressive, and complex than anything I've ever heard before. Beginning with the Tolkienesque intro "When Time Fades Away", Wintersun shows us right off the bat that this will be an epic journey; the intricate arrangement, touches of Eastern influence, and climatic final segment make this one of the best instrumental intro tracks I've ever heard on a metal album. It segues right into the thirteen minute behemoth "Sons of Winter and Stars", and this track immediately sets the stage for the rest of the album with its heavy riffs, multi-layered keyboard arrangements, and massive choruses. "Land of Snow and Sorrow" doesn't feature as many harsh vocals as the previous track, and it's also generally more mid-paced, but it retains the stunning keyboard work and strong melodies that made the earlier portions of the album so great. The main chorus has a Viking-influenced feel that showcases Wintersun's strong connection to Scandinavian folk music. "Darkness and Frost" is a short interlude piece that serves more as an intro to "Time" - it contains many of the same musical ideas as the following track, and also segues seamlessly into its successor. "Time" is the epic closer to part one of this saga, and features some absolutely killer riffs and some of the most technically challenging acrobatics heard on the entire observation. The album closes on a more atmospheric note, but that is certainly appreciated when one considers how bombastic the rest of the album is. Time I is a short album by today's standards, clocking in at only forty minutes, but that is easily forgivable considering the depth and quality of the material offered. This is an example of 'all killer, no filler', and I would take that over a boring eighty minute album any day of the week. Wintersun is a group of musicians that have absolutely mastered their craft as artists, and the stunning vision of extreme symphonic metal shown on Time I exemplifies a band that has a burning desire to push music into uncharted territory - a professional, ambitious, and masterfully written observation, the first album in the Time saga stands tall as one of the year's best metal albums. Wintersun is back, and they have returned stronger than ever! Although Finland’s Wintersun made quite the name for themselves following the release of their self-titled debut album in 2004 (though they were more frontman Jari Mäenpää’s side project then as he was still in Ensiferum up to the point of recording), the band has become perhaps more well known since then for the frankly horrendous wait they’ve put their fans through to produce a follow-up album. The album, originally titled Time but now split into two parts, has finally begun to surface in 2012. Time I, containing five tracks, is the first chapter of this long-awaited release, with Time II scheduled to follow in 2013. Many jokes have surfaced about the album being better named as About Time and with good reason, so let’s see if Time I is actually worth it then. Time I features an extensive guest choir featuring members of bands such as Ensiferum, Kiuas, Turisas and Týr. Wintersun has changed since their debut in 2004. The self-titled effort was not your typical sounding album by any means, being a combination of mostly power metal and melodic death metal, or power-death, as I prefer to call such hybrids. Time I does contain elements of both genres, but is not a power-death album. There is a lot going on during the album, but ultimately there is one near constant element which defines the album – symphonic metal. The extreme variation of it that is, as the vocals are still mostly growled as per the debut which was more or less power metal music with growling vocals. But although extreme symphonic metal may be the best way to describe the album if you can only label it with one genre, it doesn’t go as far to describe what the album actually sounds like as you may think. Parts of the album are progressive, while there are also folk influences to be found. Add in the power metal and melodic death metal I already mentioned and you’ve got quite a varied album in Time I, one which uses lengthy epic songs to chop and change between styles effortlessly, as in the 13:31 minute second track, Sons of Winter and Stars, a four movement piece which flows on perfectly from the opening instrumental When Time Fades Away. The first track could easily just be a part of the second so seamless is the transition. Land of Snow and Sorrow, the third track, clocks in at 8:22 so is the shortest of the vocal songs on the album, but it still getting up there in terms of epic length. I’d understand if there was some concern after all this time that now Time I has finally dropped that Wintersun have only actually included three songs which contain vocals on the album as despite it’s 4:08 length When Time Fades Away is pretty much an extended intro track and fourth track Darkness and Frost is the shortest piece at 2:24 and is pretty much an interlude between Land of Snow and Sorrow and the closing Time, but the album does clock in at a respectable 40:07 minutes of music. Shorter than the debut’s 54:09 certainly, but one must not forgot that Time II is on the way to complete the package and at this stage it remains to be seen if the decision behind the split is justified. If Time II isn’t of a length that would keep all the material off of one disc of music then I’m sure they’ll be a backlash but until we find out either way I’m going to reserve judgement, although after eight years a double album in one package would not have gone amiss. Just saying, because eight years for five tracks is most definitely testing the patience of your fans regardless of the length of three of those tracks. 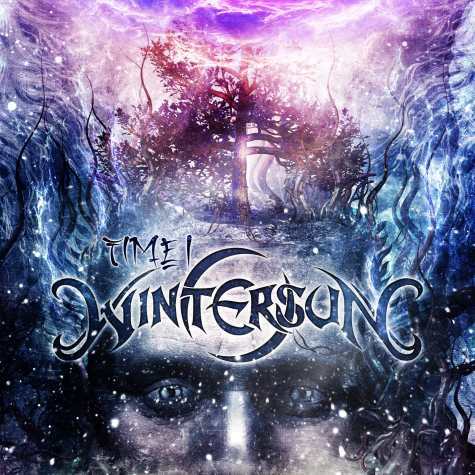 Time I is about as epic as symphonic metal can get though, and although it is quite different to the debut, I’d say that this is very satisfactory even with the wait Wintersun put everyone through. The album is symphonic metal but not quite in the way you’re probably used to hearing it. It’s got something special, the kind of album that makes every note count and at its conclusion leaves you wanting more. That’s the biggest problem with the split. After this I for one really want to hear Time II now, not next year. And ultimately that’s where Time I suffers the most since after all this time (it’s impossible to get away from this pun by the way) it feels like only half the end product, which of course it is. Musically this is exceptional however. Maybe not quite top tier for me, and in all honesty not quite as good as the debut, although they’re very different albums so there’s plenty of room here to like one but not the other. I’d definitely say Time I is not as immediate than the self-titled though, and it took me a couple of spins for it to grow on me, and I want to put on record I didn’t actually hear the debut until after Time I, so this especially holds true I think, as I believe being familiar with the debut will hinder enjoyment of Time I at first, that’s how different the album is. It’s like a completely different band. But keeping an open mind and you’re left with one of the finest symphonic metal releases of the year. Unless the time comes where post-apocalyptic music scholars are reading this and all other mention of the arduous wait associated with Wintersun's second album has been erased, I don't think it's necessary to offer a pre-amble about the ridiculous anticipation eight years of waiting have wreaked upon fans. Suffice to say, after so many delays, "Time" became rooted somewhere in between the status of legend and inside joke. Of course, with such expectations, people can be led to say rash things; initial media reports of "Time I" as one of the greatest albums of its generation appeared well-aware of the hype. I've given myself a couple of weeks now to digest it in all of its glory, and while the success of the yet-upcoming "Time II" will ultimately decide where this project rests in history, Wintersun have offered one of the most intense listening experiences of the year with this one. It certainly deserves the polarized opinions it has met, but there's depth and detail here to merit however long we waited for it. Love it or hate it, "Time" is finally here. The first thing that really surprises on "Time I" is how much Wintersun have developed and changed as a musical outfit since the debut. Although the debut now passes me as one of the finest of its style, it was still rooted in a style and sound that would have been familiar to any fans of Jari's previous band, Ensiferum. Wintersun's direction on "Time I" may still be described with the same melodic, epic, progressive and symphonic adjectives as the debut, but everything is now larger than its ever been, to the point where it becomes difficult to fairly compare the two. Whereas "Wintersun" focused on the quality of its hooks and riffs, "Time I" is painted in terms of orchestration and atmosphere. Jari and his mates fashion a vast folk metal symphony of sorts, not in the traditional 'symphonic metal' sense, but there's not really another word that can aptly describe the complexity and subtle flourishes throughout the album. In news reports prior to the album's release, there was word that "Time" would feature hundreds of tracks at the same time, and though that was enough to raise a few eyebrows, it's readily evident in the music. Wintersun's music is still led largely by guitars, but "Time I" makes its mark by the amount of time and detail invested into the background. Cinematic orchestral flourishes match the intensity of burstfire guitar work, and frequent folk roundabouts give plenty of space for Jari to sport his arrangement skills. Even within an intrinsic 'background' element like the orchestrations, there are plenty of levels to dive into. Even to the attentive listener, "Time I" is an initially chaotic and harrowing experience. In what I can only imagine would have been a mixer's nightmare from the ninth circle of Hell, "Time I" demands a listener's full attention. "When Time Fades Away" is a remarkably beautiful way to open the album, gradually adapting the listener to a steadily more intense and complex palette of orchestration. There's a definite East Asian motif here- certainly not something you would expect from Finland- although a minute into "Sons of Winter and Stars", the definitive Wintersun sound is at full blast. The riffs are not too fargone from what Jari was doing on the debut; they are fast, melodic, and open to techniques from many sub-genres of metal. Below these guitar riffs are what sounds like a thousand other parts, each grasping for their share of the mix. "Land of Snow and Sorrow" and the finale title track follow in the footsteps of "Sons of Winter and Stars", although each of these three are memorable in their own right. The fourth (and shortest) piece, "Darkness and Frost" is an interlude that also functions as the extended intro to the song "Time", it begins as an acoustic bridge and soon finds itself in the same sort of cinematic orchestration heard on the rest of the album."Sons..." is arguably the best offering on "Time I", although the other two 'full' pieces are not far behind. "Sons of Winter and Stars" is a perfect manifest of where Wintersun are now as a creative act, throwing everything at the listener at full force, yet still finding time to offer a beautiful acoustic break towards the end. For all of its cerebral orchestrations, the vocal melodies here are remarkable, and may be the most accessible thing on the record. Jari's black metal rasp is still used here, but there's a certain preference for clean singing here. Whether its for an epic chorus of pagan warriors or Jari's own lead voice, Wintersun's intense style manages to make room for these vocal arrangements. As may have been evident from the overblown production, Jari seems to be a bit of a Devin Townsend fan, and "Land of Snow and Sorrow" best illustrates this, occasionally featuring guitar and vocal elements that are virtually indistinguishable from Devy himself. It's a minor disappoint to hear a genius in his own right tracing the footsteps of another genius, but Jari's vocals have a great sound of their own. As a clean singer, he sounds much more confident here than he did on the debut. Thanks in large part due to the heavy symphonic focus here, his black metal rasps now sound less fitting, although it retains his distinctive snarl. It's almost a granted truth by this point that Wintersun's musicianship is going to be through the roof. Besides Jari Maenpaa's not-inconsiderable skill with vocals and guitar, the rest of the musicians offer remarkable performances befitting a project of this magnitude. Special commendations go to drummer Kai Hahto, whose epic and aggressive technique backs up the metric tons of orchestration. Although the production is about as good as current technologies can allow for something of this density, some performances on this album can be difficult to hear. At its most symphonic, "Time I" pushes Kai's drum recording down to the level of the background, and bassist Jukka Koskinen can be even more difficult to hear, unless you know what to look for. There are times when I feel the debut's more concise and straightforward approach would have been better, but considering the scope of the instrumentation, it's no surprise that things get just a little murky on the production end. At only forty minutes, "Time I" is certainly shorter than most albums, although this slightly shorter-than-average length works to an advantage. Particularly on the first listen, it's quite a bit to take in, and it ends before the 'epic' atmosphere draws thin. "Time"s complexity is both its greatest strength and most inviting vulnerability. Depending on your tastes as a listener outside the context of Wintersun's debut, it's likely most who hear it will either love it or hate it. Although the depth here is virtually unsurpassed by any other album of its style, that complexity can feel overblown for its own sake. "Time I" achieves the feeling of an epic atmosphere like few albums have managed to do, but there's the sense that some of the overbearing density could have been done without. With that being said, repeated listens only make the album more and more satisfying of a trip. The initial experience is bound to be fairly disorienting, but there's so much to explore here. As I said towards the start of the review, it's going to be up to "Time II" to match the par that's been set, but there's no doubt that the sweat and blood that's evidently been spent investing in this project has paid off. Only coming years will tell if this has the same lasting appeal as its predecessor, but the music speaks for itself; Wintersun are now among the elites of their style... whatever their style might actually be. "Time, what is time?" once asked Blind Guardian on their legendary Power Metal release "Somewhere Far Beyond". Sometimes, good things need some time to be done but this is not the case at all for Wintersun's new output that has been released eight years after their first strike following many complicated recording sessions, lots of strange announcements and wrongful promises and more and impatiently growing expectations from critics and fans. The difference between Guns 'n Roses' "Chinese Democracy" and the new Wintersun record is that nobody really expected anything special coming from the one man project of Axl Rose but the record turned out to be quite decent without being a masterpiece while in the other case what has become a one man project of Jari Mäenpää was expected to be a masterpiece and is nothing but a big deception. After all the dramatic events over the last years, they could only fail. In the end, couldn't one have seen this coming? "Only time will tell." realized the British Heavy Metal flagship Iron Maiden on its dark "A Matter Of Life And Death" release. Jari Mäenpää announced in fact that his new material was so complex that it needed new and revolutionary recordings procedures. This complexion led to a quite predictable result as the new overhyped record turns out to be completely overloaded. The guitar riffs feel lackluster and are buried under a too big amount of symphonic elements. Despite the length of the single tracks, they show no progression whatsoever. The calmer moments lack of emotions, the louder parts lack of energy and the productions is without dynamics. "We got a little time to make up our minds." stated the pioneer band of European Power Metal Helloween on the first part of their legendary "Keeper Of The Seven Keys" trilogy. During the whole process of that difficult birth that Jari Mäenpää gave to his new baby, he seems to have either worked too much on the tracks as they feel very complicated and inaccessible or not worked enough on them as they lack of consistency. The whole record has no catchy moments even though the same patterns are heavily repeated. Apart of the instrumentals, all songs vary from calm ambient or folk rock introductions to extreme symphonic metal or melodic death metal parts to calmer folk metal sections before the entire circle is repeated again and again and soon starts to get quite predictable. The few new elements such as the Japanese folk parts are overused in the genre and don't fit at all to the topic of ice and snow. That being sad, the song titles lack as much of originality as the tracks themselves do. "I've been here before, was it all just wasted time?" questioned the German power metal band Edguy on their "Rocket Ride" release. In the end, there is nothing left to say but that this record collapses under its own pressure and feels directionless and overloaded. Maybe the sound would have been more mature and natural if the release would have taken less time. I can understand that the band finally wanted its material to be released but maybe they should have worked on something completely different and new as time went by. The plan to make two records out of one is a good commercial idea but artistically, it just stretches the whole chapter and people like me are not looking forward for the second part of this release at all. But maybe time will change things again and the band will actually revise its initial decision or work on their songs to make them sound more natural. As most of the reviews on here are surprisingly positive, they though surely don't feel the need to improve so that my expectations are very low for the upcoming release. "Tears of time ? just an illusion." concluded the legendary German gothic metal band Crematory on their well entitled "Illusions" release.